You are seeing a before and after storage space. 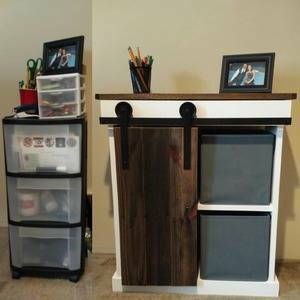 I also "stole" this awesome plan from Shanty 2 Chic. So big thanks to them! I used some weathered pallet boards for the top and door.